Everything became capable of anything. But what if we just want Play and Pause? THE DIGITAL SPHERE ENABLES UNCOUNTABLE POSSIBILITIES. MARKET RESEARCH SHOWS THAT MANY OF THESE OPTIONS ARE STRONG SELLING ARGUMENTS, EVEN THOUGH MOST OF THEM AREN’T USED. SOMETIMES, THOUGH, IT JUST COMES DOWN TO ON AND OFF, EVERYTHING ELSE BEING A DISTURBANCE TO THE USER EXPERIENCE. THE QUESTION IS: HOW TO BALANCE POSSIBILITIES WITH HABITS? 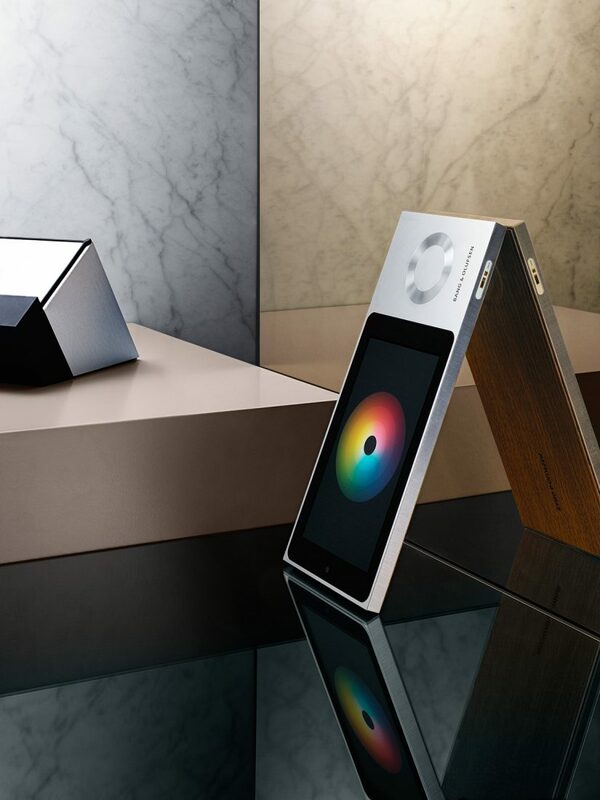 Bang & Olufsen is known for exceptional entertainment. Iconic products deliver unprecedented experiences with brilliant sound quality, outstanding craftsmanship and exceptional design. But staying ahead is a challenge. You need to notice the relevant market changes and use them to develop an even better user experience. To design new growth. 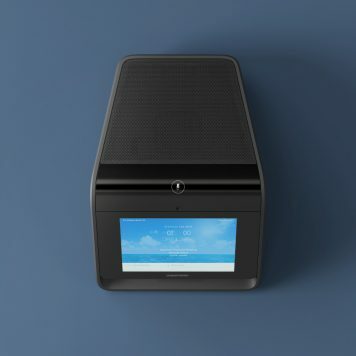 Over the last few years, the consumption of music has changed from heavy hifi units to mobile speakers controlled by smart devices. We have gotten used to the comfort of playing music wherever we are, to having more digitally enabled options than ever before. Pressing play is still our most used action though. Most of the time, many of the options are not needed. They compromise our experience. This is a challenge for user experience design. 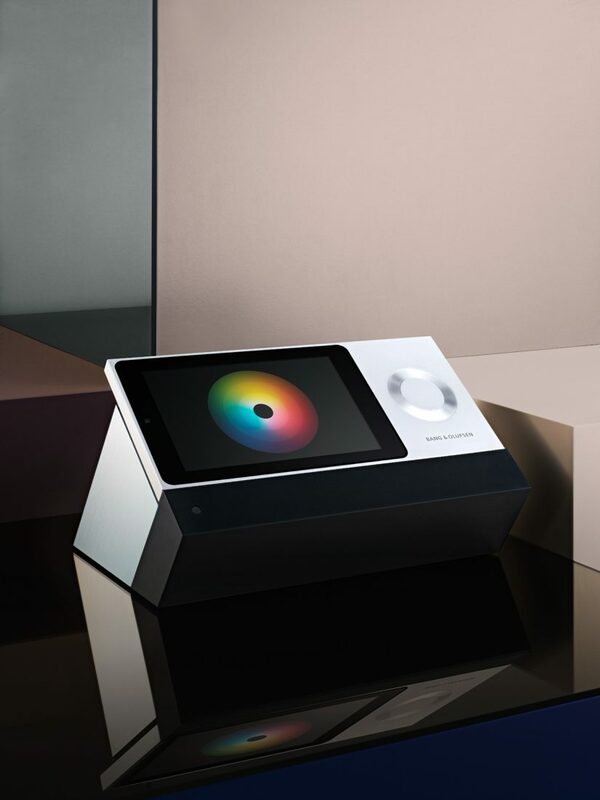 With the Beosound Moment, you can have either all options or simple usage. To this end, we thought about the metaphor of the two faces of a coin: Respecting both needs equally and developing a two-faced device. Consequently, we divided the experience into two interfaces. 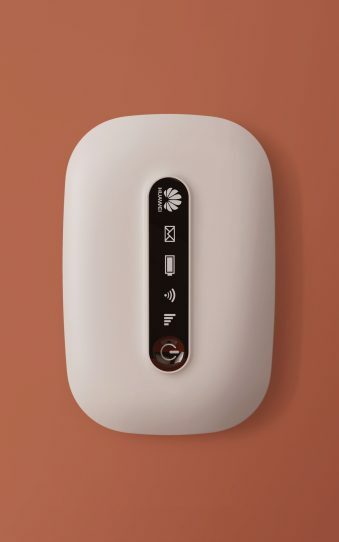 One offers the digital universe of features, the other being reduced and simple. 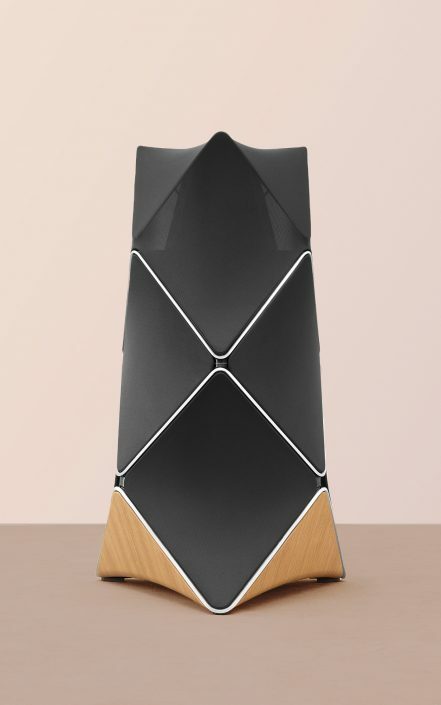 The result is a disruptive piece of domesticated technology, made for music lovers. 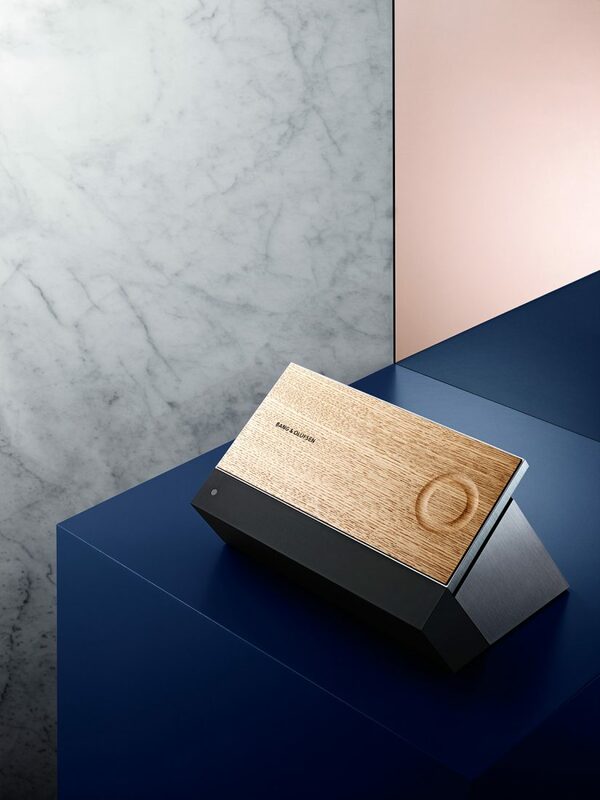 The BeoSound Moment offers both: choice and simplicity. 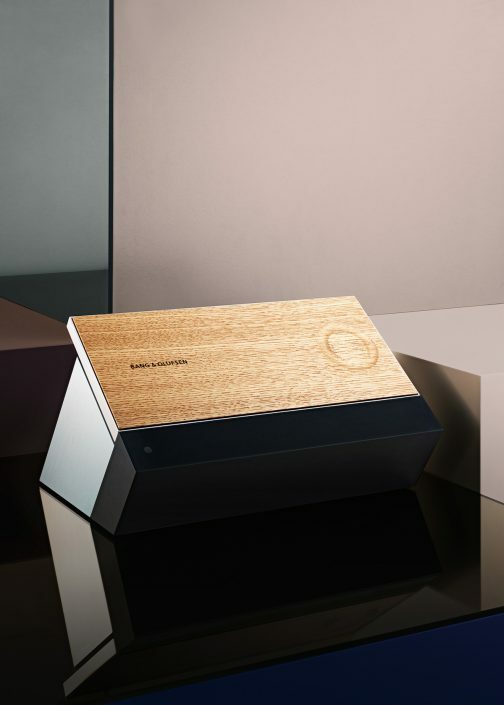 If you just want to enjoy music, touch the wooden interface. The music will intelligently fit into your daily rhythm. The wooden face is all about effortless enjoyment. And if you want to go deeper and manage the details, just touch the digital interface. Browse, tune or adjust your experience. The digital face is all about control. 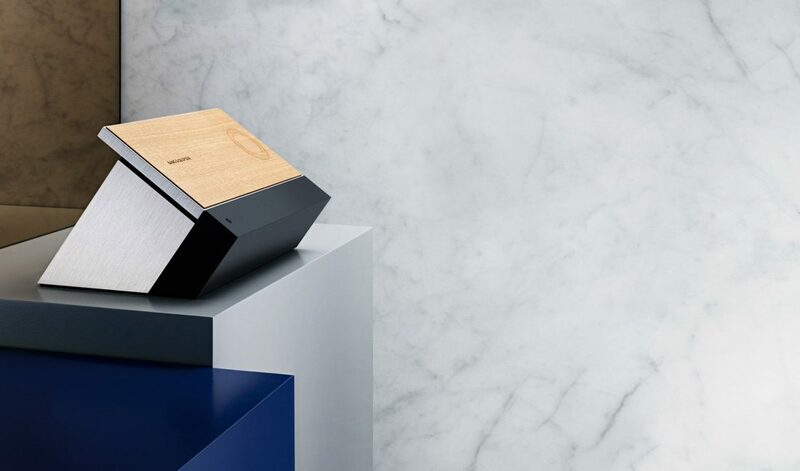 The BeoSound Moment is an iconic device to enjoy music the way you want. A visual and haptic sensation in everyday use. 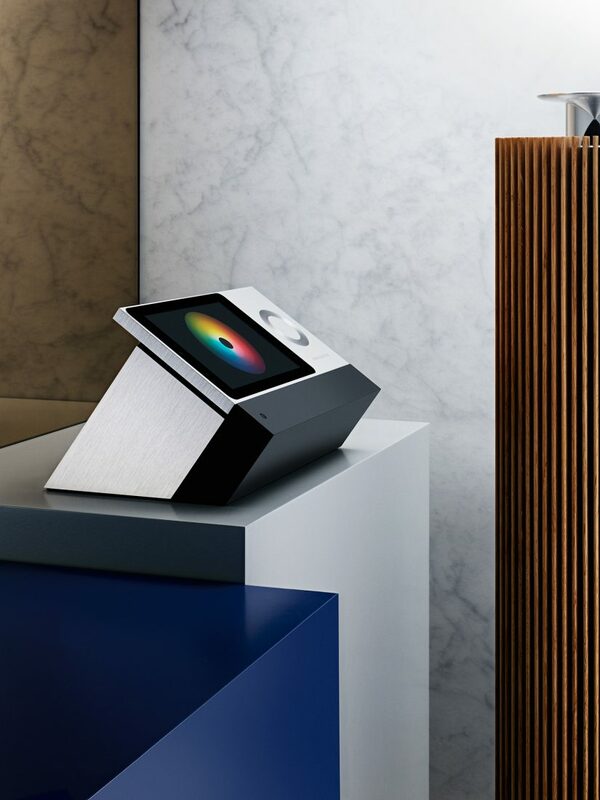 See the Beosound Moment in action. Read more about the nomination for the Wallpaper Design Awards 2016.